A coupe with both finesse and attitude. That is the best way to describe the 2016 A5 Coupé. A coupe with both finesse and attitude. That is the best way to describe the 2016 A5 Coupé. Equipped with the best in terms of technology, engineering and comfort, this coupe is made for drivers looking for driving pleasure and convenience in a luxurious, yet sporty package. 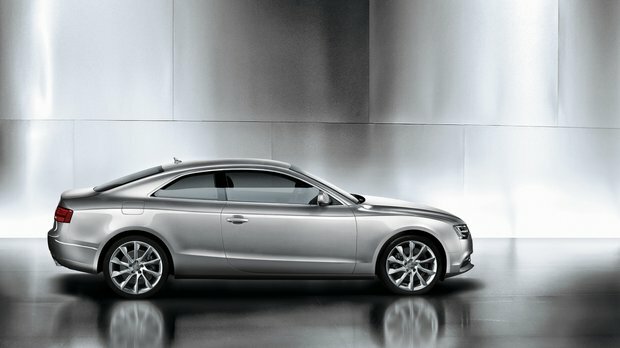 The 2016 A5 Coupé is offered in three variants: Komfort, Progressiv and Technik. The 2016 Audi S5 is powered by Audi’s 2.0-litre TFSI four-cylinder engine that outputs 220 hp and 258 lb-ft of torque. This powerplant is mated to a 6-speed manual transmission, with the option of an 8-speed Tiptronic transmission. The A5 is equipped with the state of the art Quattro all-wheel drive system that ensures dynamic handling and outstanding capabilities in all types of weather. Speaking of handling, Audi vehicles are renowned for their capacity to provide exhilarating driving pleasure. That is why the 2016 Audi A5 is outfitted with the best components available in terms of suspension and handling: 5-link Suspension, Upper and Lower Wishbone suspension in the front and Independent-Suspension, Trapezoidal-Link in the rear, and many more elements. Finally, the braking system is above standard, offering a Dual Circuit with Diagonal Spilt, ABS, EBD, ESC and an exclusive Brake Disc Wiping Feature. In order to offer ultimate precision in steering, the A5 comes with Electromechanical Steering with Assistance. Inside, the Audi A5 is welcoming and comfortable. Fine leather seats, sporty elements, in perfect balance with a luxury feel, working with advanced technologies to offer the driver and its passengers an exquisite experience. All trims come with 3-Spoke multifunction leather sports steering wheel, 4-way adjustable driver seat, lighting package, Cruise control, Dynamic Automatic Headlight-range Adjustment. Buyers who opt for the Komfort variant may also add the Sport Package, which adds Sport seats with driver and passenger lumbar support, high gloss black instrument cluster surround, shift paddles with aluminum look, stainless steel pedals and a black headliner, along with many exterior and mechanical features. The Adaptive headlights with cornering function are also available as an option on this variant. Outside, the Audi A5 Dynamic automatic headlight-range adjustment, front fog lights, Headlight washers LED daytime running lights, LED Rear Lights, light and rain sensor, Panoramic Sunroof and Bi-xenon headlights are standard on all trims. Choose the Technik variant and add the S line Competition Package. This will add the Sports Suspension, Black exhaust pipes, Black rear diffuser, 19" High Gloss Black 10 Y-Spoke Design Wheels, Black rock guards, Black styling package, 255/35 R19 performance tires, Black exterior mirrors, Front Parking Sensors, Rearview camera and more options inside and out. 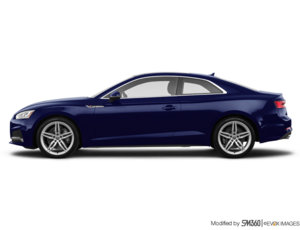 The 2016 Audi A5 offers everything a driver expects in a sports coupe. Come and see it at Glenmore Audi today!